This side of the map covers the areas of downtown and "The Las Vegas Strip." The circle with the purple background contains a blowup view of the downtown area. 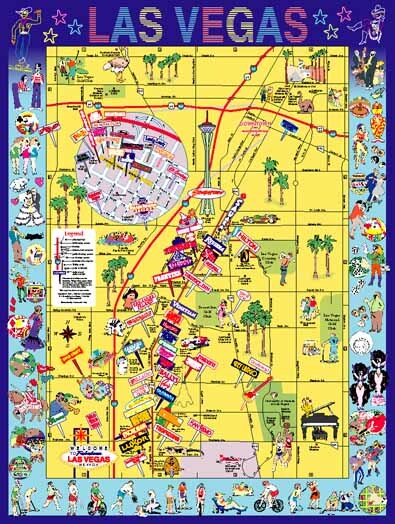 Surrounding the map is a border of vignettes of Las Vegas activities. An enlarged detail of this map.